You can Dry Pan fry these like this or alternatively if you are in a rush slice the jackets and eat immediately as dry frying is a faff for some. 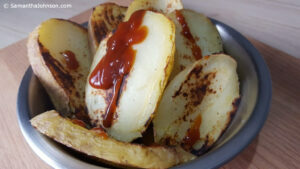 Simple quick snack if you are tempted to munch something you shouldn’t whilst on the Potato diet. And an alternative to crunching a boring carrot! 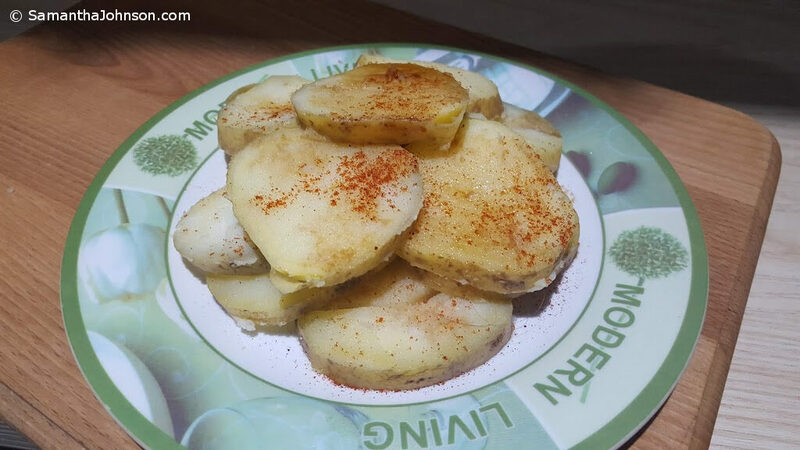 Pop a few small potatoes in the microwave 15mins then flip them for another 15mins (800w Microwave) allow to cool. 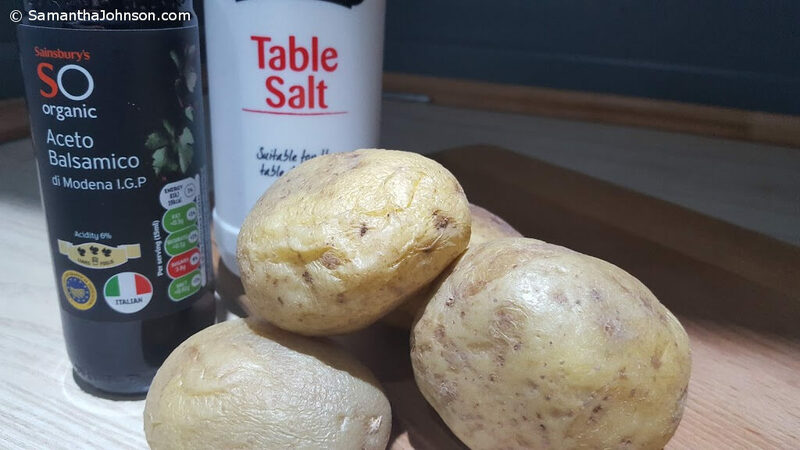 Slice and sprinkle with Salt and Balsamic Vinegar (be careful not to swamp the potatoes and make them soggy!). Use a teaspoon to sprinkle droplets of Balsamic to prevent overuse. It is better to use a darker Balsamic so you can se how much you are using as opposed to the white. Dust with Smoked Hot Paprika (optional).